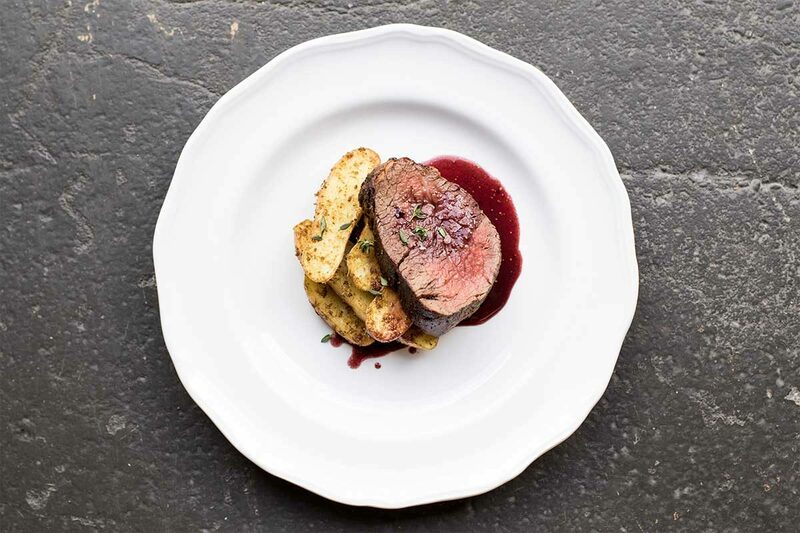 Exquisitely tender wagyu tenderloin dusted with fennel pollen and paired with a fruity red wine fig sauce. Pat the tenderloin dry. Mix the fennel pollen, salt, and pepper, and coat the tenderloin with it. Let the tenderloin rest uncovered in the fridge to dry further and allow the rub to set and season. In a medium saucepot, combine the wine and stock. Add the figs, onion, fennel, thyme, allspice, and peppercorns. Reduce the liquid over medium heat until the volume is approximately 1 to 1.5 cups. This will likely take 30 minutes. Heat a cast iron skillet over high heat until quite hot. Add the oil, and sear the tenderloin, slowly rolling it to develop an evenly brown crust on all sides (approx. 2-3 minutes per side). Transfer the pan to the oven, and cook until the beef’s internal temperature reaches 125°F. Remove the tenderloin from the oven and the pan, and allow it to rest for 10 minutes, under tented foil (where the temperature will continue to rise to 130-135°F, or medium-rare). Strain the sauce, and return to the pan over low heat. Stir in the butter 1/2 tablespoon at a time, stopping when the sauce develops slightly more body and a silky texture and shine. Season to taste with salt and pepper, and small amounts of fresh lemon if needed for brightness. 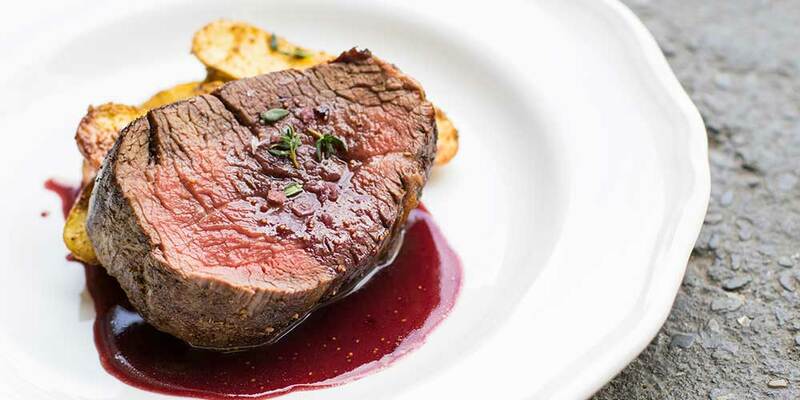 Slice the tenderloin into generous steaks, and serve with the fig and fennel sauce.